The Ginkgo Society is a cultural tourism development organization based in Dali Yunnan China. We are working with local government and native people to create a sustainable destination program for Shaxi Valley and promote responsible tourism throughout Shaxi and Dali Yunnan China. 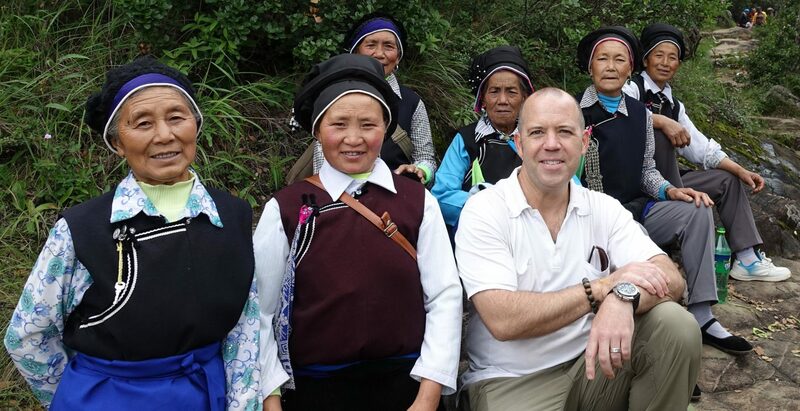 Founded by American designer Chris Barclay, the Society welcomes collaboration in all areas of sustainable travel and historical restoration in China. We are one of the very few private organizations in China who are dedicated to creating a sustainable destination through empowerment of local people and extensive architectural restoration. Through our more than two-year project of rebuilding an important nunnery, (慈荫庵) – the Sheltered Mercy Nunnery, also known as the Pear Orchard Temple, we have created a strategy that promotes local ownership of tourism development and supports native cultural continuity. Located in Diantou Village at the head of the Shaxi Valley, the temple also now serves as the Shaxi Visitor’s Centre, with dedicated space to educate visitors on sustainable tourism activities and Bai culture. Fewer and fewer of the Bai people who inhabit Shaxi Valley are occupying the old town as Han Chinese from outside are displacing them through renting out their shops and homes, and turning them into coffee shops and hotels. Our approach is for local Bai people to participate directly in the tourism economy through our promotion of their villages, family-owned B&Bs, restaurants and to employ more locals as guides and hosts. We are protecting and promoting both tangible and intangible culture of Shaxi. It is not enough for us to simply restore historic buildings. We believe that without a continuing community centre, the important Bai folk traditions at the Pear Orchard Temple would not have a reason to take place there and the building itself would lose its significance to the community and to visitors. We believe that the temple and by association, the Shaxi Visitor’s Centre, serve as a window through which we develop cultural tourism and promote those sustainable activities that we believe bring tangible benefits for the local community while protecting their traditions. Instead of taking over an historic cultural building to repurpose it for purely commercial use, we have rebuilt the Pear Orchard Temple with the idea of guaranteeing the continuity of worship, song, festivals, gathering and other aspects of local community culture that thrives in this space. By attracting visitors to participate in local activities at the temple, it allows us to educate them about traditional Bai culture in Shaxi, and promote sustainable tourism initiatives throughout the Shaxi Valley. We currently promote hiking, village tours, cooking classes, photography tours and horse trekking. We also offer free English classes in the temple to help develop the next generation of guides in the Valley. 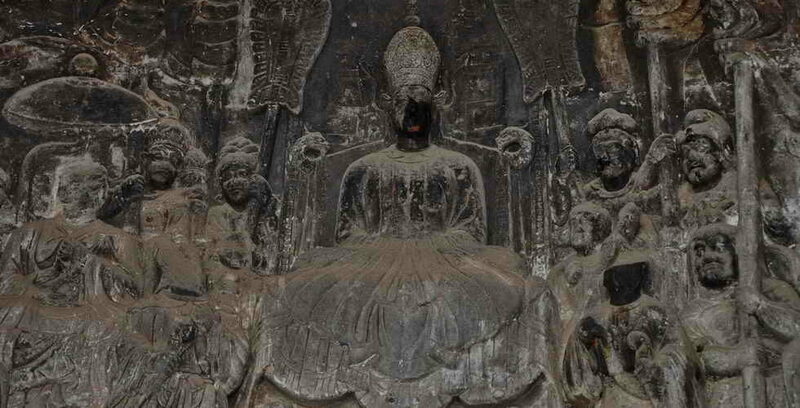 For example, visitors to the Shibaoshan Buddhist grottoes and mountain temple complex above Shaxi, used to only come by car and after their visit, briefly stop in the Old Town to take photos before heading out for Lijiang or Dali Yunnan. These are still the two main attractions in the area and bypass a wealth of other local experiences. From the Visitor’s Centre at the Pear Orchard Temple, we recommend to go by locally owned and guided horses via the original route up to the mountains. This was the trail Shaxi people took before there were modern roads, and on this traditional route, travelers pass through Diantou Village and farms. This gives first-hand experience of local life and allows us the opportunity to promote further exploration of the village and interact with local people there. As one of the last intact market towns on the ancient Tea Horse Road, Shaxi is in danger of losing its cultural heritage and faces a similar fate to the nearby tourist centres of Lijiang and Dali. These towns were also picturesque traditional centres of trade and up until 12-15 years ago, when mainly small groups of foreign tourists visited, they remained for the most part culturally authentic. But as Chinese mass tourism developed, together with Han Chinese displacing local merchants and residents, Lijiang and Dali Yunnan, apart from their architecture, now offer little of their native culture to visitors. We are taking a proactive approach to avoid this displacement, by training and empowering local village residents to participate directly in the kind of sustainable tourism development that we promote as an alternative to what we call the “Hanification” model, where local people are typically marginalized in terms of reaping long-term economic benefits. Our “One Village, One Host” initiative encourages villagers to open family-owned B&Bs, restaurants and offer tours in their own villages, all of which will strengthen the relevance of the temple community, as it will encourage young people to return to the village to support this organic development, and participate in traditional temple-sponsored activities. Further, it will provide jobs for older villagers who can remain in their village to accommodate guests. This prevents the Old Town of Shaxi from being the only draw for tourists by offering diverse, authentic and personal experiences with local hosts. We are in the process of identifying and training hosts in all of Shaxi’s 11 main villages in the basics of hospitality management. Our first family, the Li’s in Xia Ke Village, have already hosted numerous international school groups, providing rooms, meals and activities. The Ginkgo Society pays the Li’s a small rental every year for occasional use of their home, at the same time sponsoring the upgrade of their toilet and shower facilities. As this is our model family, we intend to use their positive example to demonstrate to other villages how to host visitors and gradually bring in hosts in other villages. While we will not renovate all the other homes, we provide a standard for hygiene, safety and service that can be replicated. We believe that this family homestay model of village accommodation better distributes tourism across the valley, instead of concentrating it in the old town centre where non-local Han Chinese dominate the market. It also gives local hosts the means to own their own businesses without moving out of their homes. As the Bai people of Shaxi are deeply connected to their farms and are not yet as sophisticated in hospitality and commerce as the Han or Bai from Yunnan cities, the One Village, One Host growth model will keep families close to their farms and gives younger people an opportunity to help their families earn income locally by using English, accounting and other skills trained by Ginkgo in our free workshops for hosts at the temple. We are in the early stages of this project, but have already demonstrated through the Li Family that hosts do not to give up their homes or direct participation in the tourism economy. Our goal is to have at least one host in each village by 2020 who will operate some kind of hospitality, guiding or handicraft business. This could include Air B&B arrangements, a small restaurant, or retail. We will use the visitor’s centre to promote these families and encourage guests to stay, eat or travel with them. We expect that by the time village host families are established throughout the Shaxi Valley, there will be a saturation of tourism facilities in the Old Town, which will naturally encourage visitors to seek out village experiences on their own. Our model will give an advantage to early adopters of One Village, One Host and allow it to become a self-sustaining system, where more village hosts see the benefits and develop new business on their own. We are already in need of more families like the Li’s to host international school and corporate groups and our goal for 2015 is to develop at least one family in Diantou Village, where proximity to the Pear Orchard Temple and visitor’s centre will support guest traffic. While most local families would rather have the money up front from renting out their home and building a new one, our model allows them continued connection to their home, extended family and an ownership of their business with long-term economic benefits as Shaxi tourism continues to grow.